Last Christmas while drinking eggnog and munching on Swedish Fish we came up with the idea for a new V4 Pro color. After almost a year of sampling the entire spectrum of red color options we have finally found the exact combination of reds to achieve the perfect color. 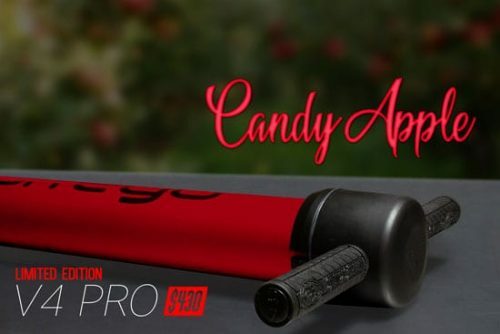 The Candy Apple V4 Pro is exactly the same thing as our typical V4 Pro. However, it requires additional processes to achieve its deep red coating and sparkling finish. That being said, the Candy Apple color will give you +5 hangtime and +25 attraction points. If you’re looking to do tricks, jump over stuff, or go as high as possible – the V4 Pro is the bright red pogo stick you want. The V4 Pro red pogo stick is designed for riders who weigh 75 pounds or more. For lighter weight riders, please read more here before purchasing. If you still have questions, shoot us an email and we'll help out. International orders may be subject to import duties/taxes. Check out our shipping page for more information. Our black company logo shirts are designed with one intent: to make you awesome on a pogo stick. Throughout the course of our extensive beta testing trials we learned that simply putting on the shirt prior to a bounce session give you +5 in jump power and +13 in agility! They are made from 100% cotton and will shrink a bit over time. Slim Fit Shirts Our slim fit 4.5 oz. pre-shrunk jersey knit company logo shirts are cut to fit your frame in just the right way. Made from 35% cotton / 65% polyester, these shirts are designed to display your bulging muscles to the world - just make sure you've got the strength to keep the ladies off! The slim fit design tends to run on the small end and will fit tight to your waist and arms. If you’re unsure of your fit, it’s always better to choose the larger size when you buy this graphic tee online. Free Shipping with Pogo Stick Orders! We no longer sell parts for the V1. The Mega Kit works with the V2, V3, and V4. 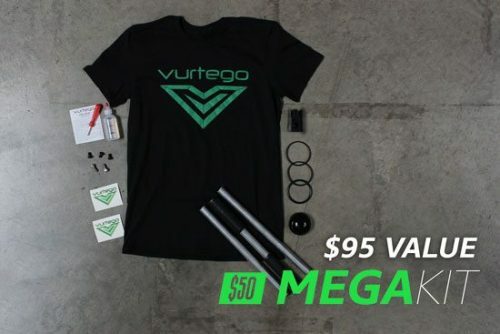 The V4 Cylinder is compatible with all other versions of Vurtego pogo sticks, from the V1 to the V3. As is the case with the V3, the welded top cap prevents top end leaks, and the interior of the aluminum tube is super smooth to allow for the easiest possible ride. If your old cylinder has gotten scratched or dented, or if you have a V1 or V2, the new V4 replacement cylinder will be a match made in heaven. Looking for more great products? 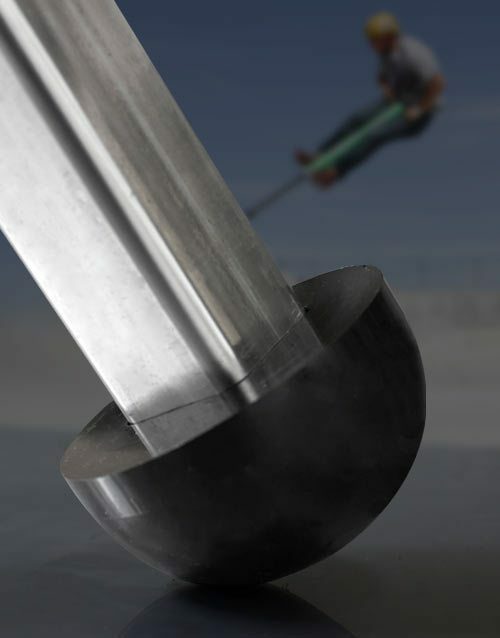 Shop our other air powered pogo stick replacement parts like the V4 Grip Tip. 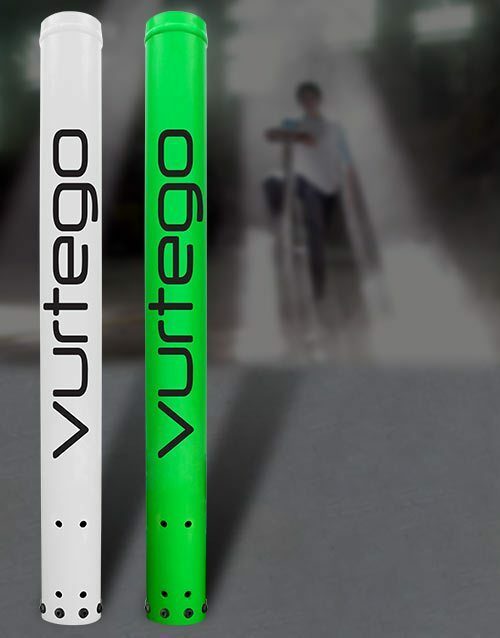 The green and white replacement cylinders work with all versions of Vurtego pogo sticks. Our V4 Traction Pegs are coated with a specially formulated powder coating to create a griptape-like feel and make sure that your feet stay locked in place on the pogo stick at all times. 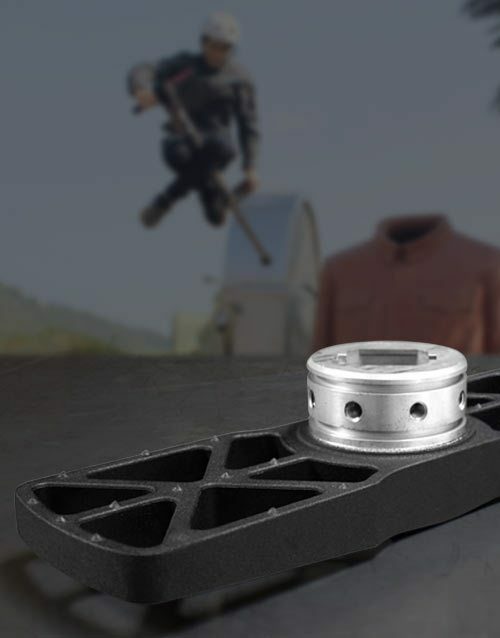 Shop this traction peg and many more pogo stick accessories at Vurtego today. Warning This pogo stick replacement part fits V4 models only! 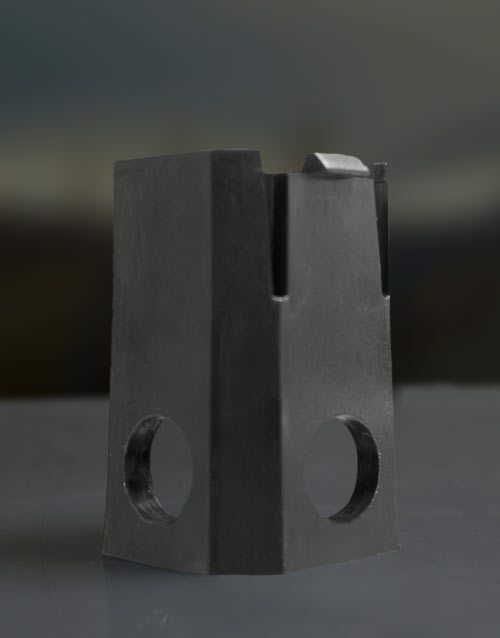 With the launch of the V4, we released our newly designed Grip Tip. 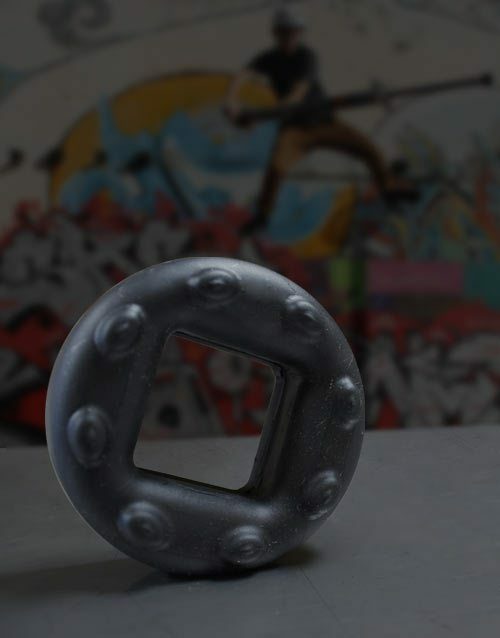 Made from low-rebound urethane and shaped like a half-circle, this pogo stick rubber tip provides the same amount of surface area on every jump to help maximize traction and reduce slips, keeping you on your feet and off of your back. 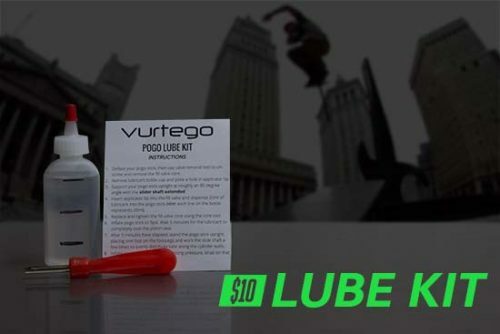 Purchase this pogo stick part from Vurtego today. The Grip Tip comes with bolt and lock washer. The Grip Tip works with all versions of Vurtego pogo sticks. The newly updated shock bushing replacement donut is made from a specialized high-rebound urethane. The dual-sided nubs on this rubber bushing shock absorber help to reduce sound by 30% from our previous design, and the shelf life has been tripled or even better. Heck, we're not even sure why we need to sell replacements...unless you have an old V3 one and need to replace it with the indestructible piece of awesomeness. 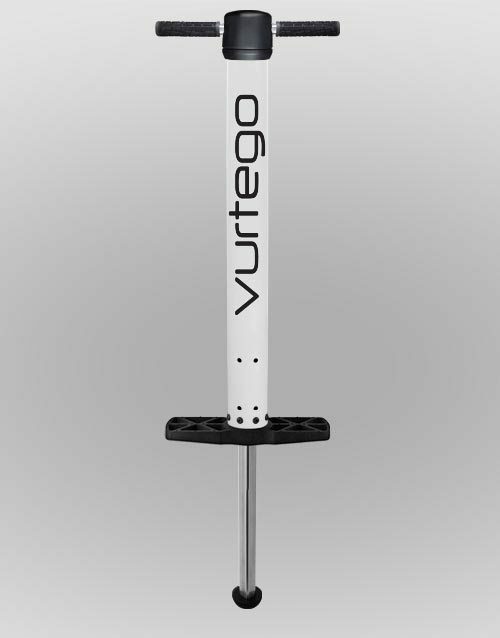 The urethane shock absorber works with all versions of Vurtego pogo sticks. In addition to this Urethane Shock Absorber, we also offer a SoftTop Aluminum Edge Protector. The V4 Pro bushing fits both the V4 and V4 Pro models. We recommend replacing the bushing when the plastic wears down enough to allow the shaft to significantly wiggle from side to side. Designed with built-in lube pockets, the V4 Pro plastic bushing sleeve reduces surface area by 78% in comparison to the V4 Bushing and is ready to take you to new heights. Warning This pro pogo stick plastic sleeve bearing fits V4 models only! The V4 is our fourth generation air-powered pogo stick. It's based on the idea of a portable trampoline. You can adjust the air pressure to jump 2 feet high or 6 feet high. The more air you pump into the V4 Pogo Stick, the stiffer the spring will become. The stiffer spring allows you to jump higher than a traditional pogo stick—much higher. The V4 extreme pogo stick is most comfortable when jumping 5 feet high or less, although it is still capable of going up to 8 feet. It’s a great all-around pogo stick, capable of doing just about anything you want. 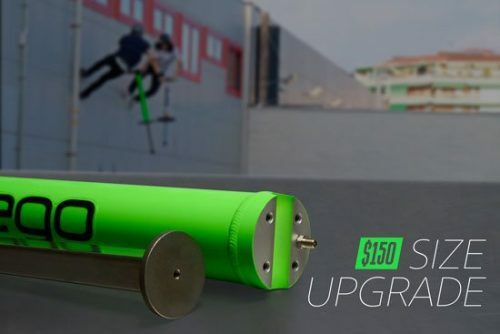 The V4 air pogo stick is designed for riders who weigh 75 pounds or more. For lighter weight riders, please read more here before purchasing. 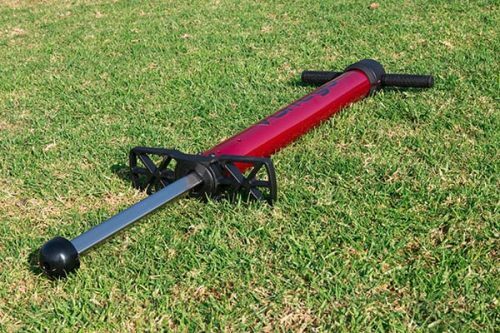 If you still have questions about this extreme pogo stick, shoot us an email and we’ll help out. International orders on stunt pogo sticks may be subject to import duties/taxes. Check out our shipping page for more information. Our Pink Robots Tee was designed for the playful at heart. Depicted on the shirt is a sequence of fun-loving, bouncy little aliens moving across your chest, throwing down a variety of different tricks. The pink fabric of the robot shirt plays right into the fun spirit of the Vurtego culture and sets you apart from all those other lazy, video game playing peeps in the crowd. Slim Fit Shirts Our slim fit 4.5 oz. pre-shrunk jersey knit pink robot shirts are cut to fit your frame in just the right way. Made from 35% cotton / 65% polyester, these shirts are designed to display your bulging muscles to the world - just make sure you've got the strength to keep the ladies off! The slim fit design tends to run on the small end and will fit tight to your waist and arms. If you're unsure of your fit, it's always better to choose the larger size. No Feel Printing Our water-based silk screen prints are dyed into the fabric of the shirt so that you'll never feel a thing but our soft, wonderful cotton all over your body. No need to worry about crusty old paints ruining your perfectly soft basic pink tee.